Shatter those chains, Supes! 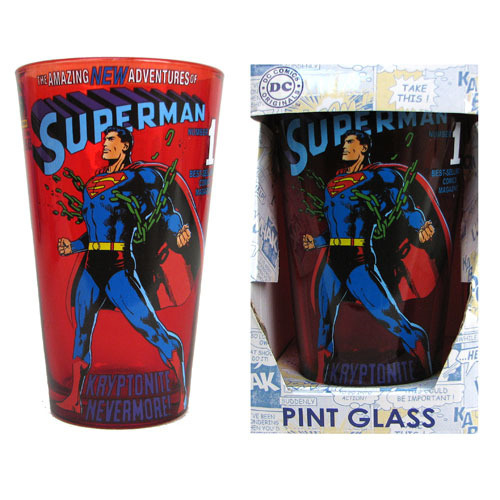 The Man of Steel breaks free on this colorful, individually boxed Superman Breaking Chains 16 oz. Pint Glass. Hand wash only. Not dishwasher safe. Do not microwave. Measures 6-inches tall. Ages 14 and up.